Landscape as Infrastructure is a platform initiated by Ian Officer. The website is an online platform for collecting knowledge, showcasing exemplary projects, sharing research and experiences and bringing together people who work on the subject of Landscape Infrastructures. Besides this, the platform aims to help in forming coalitions for future research, design and teaching projects on landscape infrastructure. 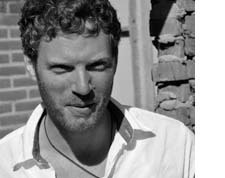 Ian L. Officer MSc (born 1983 in Zwolle, the Netherlands), Landscape Architect, studied landscape architecture at Wageningen University and Research Centre (NL) and urbanism at the Universitat Politècnica de València, Spain. Over the past five years, Ian has worked as a professional landscape architect for Oikos Design and OKRA Landscape Architects, and has since 2011 joined Bosch&Slabbers Landscape Architects, where he focusses on large-scale strategic designs and coastal defence projects. On the basis of a grant by The BKVB Fund Amsterdam/Mondrian Fund, he is currently undertaking a research investigation into a landscape approach to design. His interests include landscape as infrastructure, eco-engineering and eco-phenomenological design.